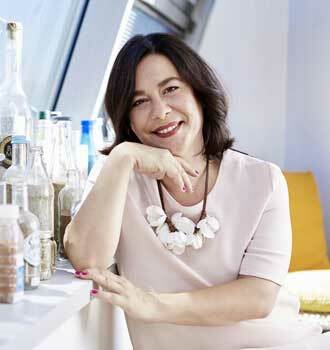 Anna Vasily has been collaborating with renowned chefs such as Gordon Ramsay for over 20 years. 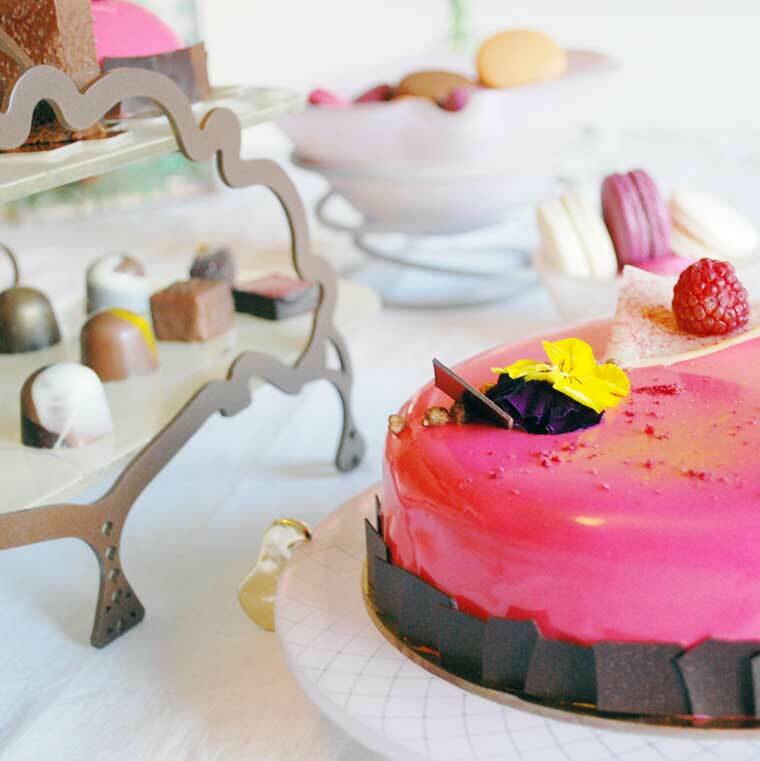 She carefully designs and creates hand crafted glass high tea stands and cake stands: Thrones to make every cake look like a real Queen. This delicate and tailored approach has seen many high tea salons feature the spectacular pieces. These include: Four Seasons, St Regis, Ritz Carlton, W Hotels, Burj Al Arab, QT Gold Coast Hotel and many other global high-end hotels. 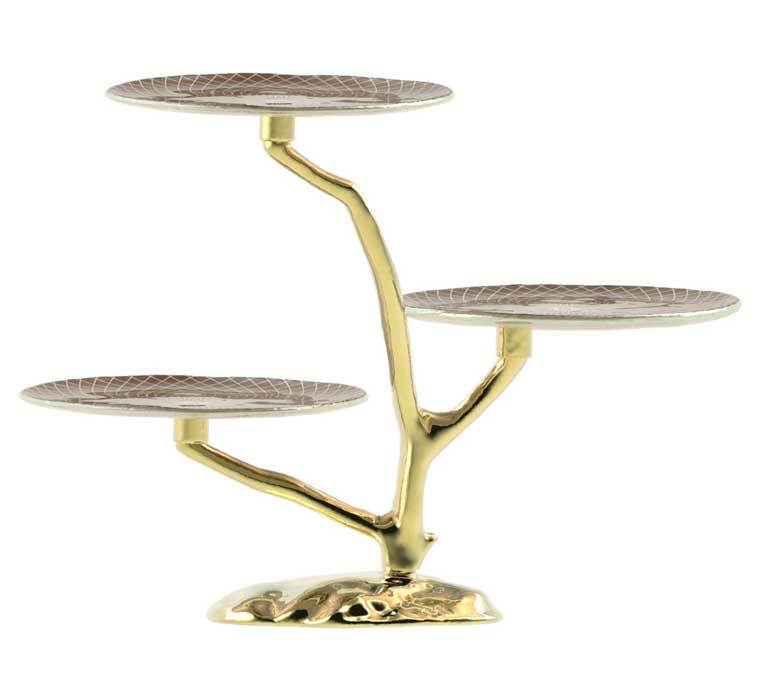 Aige, Harmo and Vero are cake stands that rest upon hand cast bronze pedestals and are adorned in the Venetian Filigree pattern. All coloured in metallic light dawn blue and pearly lilly white. Supports are made of hand cast and hand polished bronze. Harmo sits low, Aige stands tall and Vero is petite for individual cakes and petit fours. Besides, Vero has a handmade glass cover with a hand crafted unique bronze handle. These intricate and elegant masterpieces designed & made in Europe are now available in Australia from their online store. Can you tell us about your products? What are they inspired by and what in particular makes them great for Afternoon Tea? AnnaVasily High Tea stands are unique and sophisticatedly modern; in this sense they stand apart from all the traditional ones. 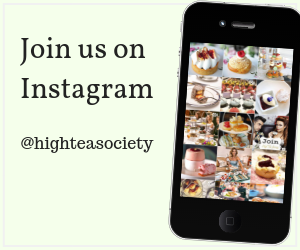 This is why many high tea salons that want to reimagine English traditional tea presentation work with us. Examples are: Four Seasons, St Regis, Ritz Carlton, W Hotels, Burj Al Arab, QT Gold Coast Hotel and many other global high-end hotels. I design my high tea stands as windows of a jewellery store, where every little “pastry gem” can show its unique personality. When I stay in these hotels, I enjoy watching their customers interacting with my teaware. I feel like I am the fairy godmother of a modern and sophisticated woman enjoying her afternoon tea. Even more importantly, I love it when they have fun amongst themselves! Can you tell us a bit about your design background, and how you got to where you are? I design tableware. It’s my type of yoga. I started as a teen in France, Belgium, Germany and the US working with glass artists and taking inspiration from them. And when the time was right, I felt full of desire to start. The hospitality professionals appreciate what I have brought for them to work with: A gift box for the meal! Can you describe for us your style in an Afternoon Tea context? Do you take a more formal approach? Does Victorian décor have a place? For me afternoon tea is not too different from the Japanese tea ceremony. It’s all about balance. 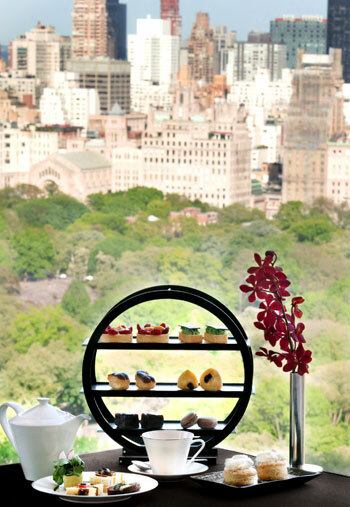 Even the afternoon tea stand itself is about balance. These types of rituals make me feel in better contact with myself and with my girlfriends. 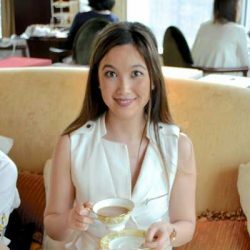 Although I am mostly a coffee drinker, I do enjoy Earl Grey or Darjeeling Black and during summer I take pleasure in Mint Tea. Moreover, when tea is accompanied with champagne, it makes us all feel a little bit happier! In tableware, I dislike plastics or acrylics and although I respect Vintage high tea stands, I don’t particularly like that modern manufacturers try to replicate the Victorian style ones. They are not objects for a “switched-on” and sophisticated girl! “We” need a unique signature. 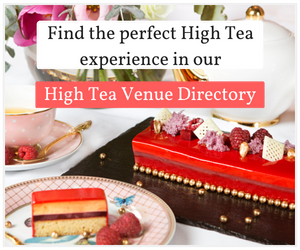 How can you host a perfect and elegant High Tea while staying within your budget? Are there any accessible and simple decorations that would lift the presentation? Use the room that is most flooded with light. Light will create the atmosphere. Pick a centerpiece! It can be a flower vase or a high tea stand. Something that will stand tall in the middle of the table. Apart from you, the hostess, there needs to be only one star shining at the party and definitely this star has to be the most beautiful and unique object of your choice! Tableware is my kind of twist…. Avoid “food carriers” (white boring plates). Take the time to go shopping unique tableware worldwide: Indian copper dishes, Japanese tiny ceramics, handmade or design one-of-a-kind dinnerware. All together (various sizes, colours, patterns), will create a mix & match! But you can also present them in themes as unique concepts. Concepts make fairy tales… Fairy tales are memorable! Do you have any suggestions on how to use the room or space to impress? My most essential advice is to select a room with a “view”. Light creates “layered impressions”. It compels guests to a “balanced mood”, generates happiness and makes glass look pure and sophisticated. Enhance the way you feel about the event, your home and yourself by using cheerful colours and music. Create a flow around the table; make guests admire every curve of the ritual. So make sure that you have enough space. Gardens are great for that! Apart from the center piece, work on the little details. They create an atmosphere of a diamond presentation. There is always something precious to be found in details. What colour palette and patterns would you personally recommend? Night blue is currently my favourite colour; it can appear to be black, but it’s not black. It has grace and elegance but it is also strong and masculine; it’s the colour of the deep sea. I was so excited that the new Dior collection worships dark Blues! In terms of trends, I love patterns; my objects always have patterns and structure; they have character and personality. I can’t stand boring white plates! And I like patterns that can transform themselves. Our Venetian Filigree pattern for instance, is perceived as both “royal” and “creative”. It depends on the surroundings. With your girlfriends, the setting has to feel effortlessly beautiful. What are the essentials for setting the perfect scene? All four, will entice them to come back. Piece of cake! What sort of tiered cake stand would you opt for? I love my “tree-shape” cake stand; her name is Bell. It’s a gorgeous piece of art that captivates everyone. It has a hand cast and polished bronze base, along with naturally formed bronze branches that hold her removable glass plates, which are adorned with our Filigree pattern. Moreover, her dark doe brown colour, matches perfectly with the golden colour of bronze. It is a little bit pricey, but it’s definitely worth it! Why should people throw a stylish Afternoon Tea Party? To celebrate! It can be a birthday, a baby shower, an anniversary or just to celebrate your friendships. Any occasion that will bring you closer to your girlfriends should not be missed! And of course, we should throw a tea party to celebrate Alice! We all grew up with her! We all loved the way she upset the creatures of wonderland. She is us! Vanessa Kelly is a student at RMIT University in Melbourne. She loves writing about food – as much as she enjoys eating it – as well as arts, culture and even short stories. Aside from this she’s interested in strategic comms and prefers team projects.